Everybody knows the old adage: you only get one chance to make a first impression! And the same rule applies to the front door of business. Your main entrance is the first thing your customers see, and it instantly gives them an idea about how you operate your business. What kind of impression do you want to make? Have a look at this west-coast casual dining restaurant’s front lobby vestibule. 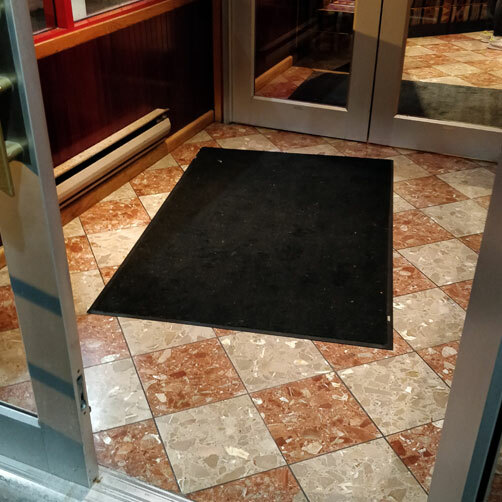 What kind of impression does a crooked, sloppy entrance mat make on you? If this is how they maintain customer-facing areas, don’t you wonder what their kitchen looks like where customers don’t see? Which restaurant gives you a better first impression? 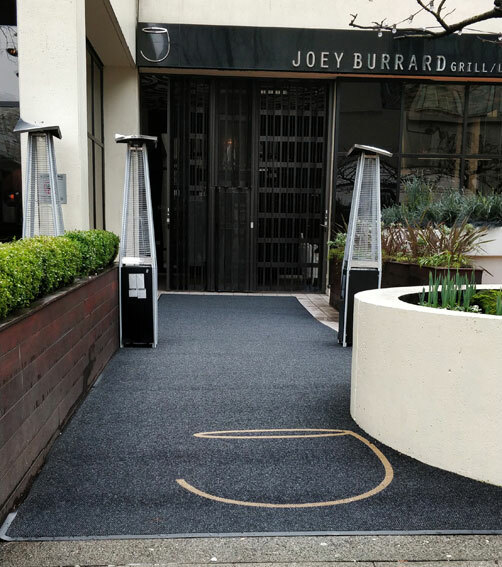 We can help you go from “floppy and sloppy” to “neat and tidy” – even if you’re in a matting contract with your uniform cleaning service provider. Give us a call today to get started on making your own good first impression!